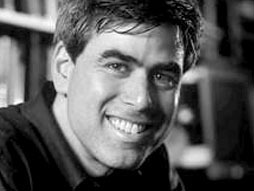 Jonathan Haidt studies how  and why  we evolved to be moral. By understanding more about our moral roots, his hope is that we can learn to be civil and open-minded. His new book is "The Righteous Mind: Why Good People are Divided by Politics and Religion." Cambridge - Do you know a watershed hero? They’re the individuals, families, groups and businesses that put their time, energy and sometimes money into improving the environment in the Grand River watershed. The Grand River Conservation Authority thinks they deserve to be acknowledged, so is looking for nominations for its annual Watershed Awards. Kitchener  St. Patrick’s Day is the one day each year when everyone can be Irish - but this year, Kitchener residents have two fun-filled days to be green! Don your best shade of green and join the city and the Downtown BIA for a celebration of Irish culture this Friday, March 16, on Civic Square, in front of Kitchener City Hall. Kitchener - The Waterloo Wellington Community Care Access Centre is evolving the 310-CCAC info line to a new portal called thehealthline.ca This updated service provides on-line support for clients, community members, WWCCAC staff and physicians who need to access community-based health services. This service is one way that CCAC’s across the province are helping to connect people to the care in their community. It provides a comprehensive and interactive inventory of services available in the community. Guelph - Guelph Arts Council is pleased to announce the launch of the 2012 Schmoozefest season with a great kick-off at Van Gogh’s Ear. Scheduled for Friday March 30 from 5-7p.m., this popular event is a great opportunity for artists as well as arts, heritage, and culture related businesses, events, and organizations to come and share their great news and happenings with the community at large. London - Canadian Solar, one of the world's largest solar companies, today announced that it has been working with leading solar project developer, Lightsource Renewable Energy Limited, in the completion of four solar power plants throughout England. The new ground mounted PV plants were built in Cornwall (Bodmin), Lincolnshire (Spalding) and Somerset (Taunton), with a combined capacity of 6.4 MW. Wesley Chapel, Florida - With the recent focus on reviving the economy by nurturing science, technology, engineering, and mathematics students, one might conclude there’s little economic value in honing a basic skill like writing. Not true, say Stephanie Roberson Barnard and Deborah St James. Winnipeg  For many Canadians, spring break for school-aged children signifies time to spend with family, having fun and creating memories. Recognizing that this will be a period where kids will likely spend even more time online, the Canadian Centre for Child Protection is encouraging parents to set some time aside to talk to their children about Internet safety to help ensure their time online is both fun and safe. Russell - The Honourable Christian Paradis, Minister of Industry, has announced that the Government of Canada will be taking action to provide Canadian families with more choices at low prices for wireless services. Ottawa - Last week, Parliament officially declared MP Stephen Woodworth’s Motion 312 votable in the House of Commons commencing with one hour of debate on April 26, 2012 and a further hour of debate to follow in late Spring.